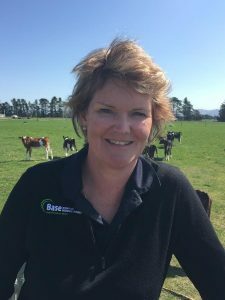 NEW Zealand veterinarian, Charlotte Westwood, will discuss how to drive increased animal productivity in high quality pasture systems at two farm tours in Victoria and New South Wales this month. Ms Westwood will be the keynote speaker at the PGG Wrightson Seeds Ballarat Farm Tour and Roadshow at Armidale, NSW, on November 15 and 16, and at Ballarat on November 17 and 18. She has a particular interest in how crops and pastures impact on the health, reproductive performance, productivity and profitability of sheep and cattle. A key focus in her presentation will be on transitioning stock to ensure the best result with high quality pastures. Farmers will also hear the results of two significant research projects, including ‘Nitrogen Response in Perennial Ryegrass’ and the ongoing implications of these findings for Australian farmers. PGG Wrightson Seeds Pasture Specialists and Research Team will provide a tour of their research farm, so producers can inspect current season crop performance and learn more about how new cultivars are breed for Australian farming conditions. Farmers are encouraged to register for the free event at www.pggwrightsonseeds.com.au/learning/invite-farmers or call 1800 619 910. Producers have the option of registering for one of the farm tour days at the Armidale and Ballarat sites. The Armidale event will be held at the Armidale City Bowling Club, 92-96 Dumaresq Street, Armidale, and the Ballarat event will be held at the Bungaree Community Centre, Bungaree Wallace Road, Bungaree. Both events will run from 9.30am-3pm and will also include tours of local trial sites.